Purchase and sale agreements - for businesses, including asset purchases and sales, and stock purchases and sales. Due diligence and feasibility reviews and investigations - in connection with business purchases and sales, including review and resolution of issues related to: receivables, liabilities, inventory, equipment, employees, leases, financing, sales taxes and trade names. Non-compete agreements and confidentiality agreements. Trade names, trademarks, trade secrets and confidential information. License agreements. Distributorship agreements. Equipment leases and financing. Standard customer contracts. JEFFREY A. SCHOEN is the founding shareholder (partner) of the law firm, where he practices commercial law with particular emphasis in commercial real estate transactions, commercial real estate finance, limited liability companies and corporations, construction law, and franchising. Since 1986, Mr. Schoen has represented business owners, buyers and sellers; commercial real estate owners, buyers and sellers; commercial landlords and tenants; commercial lenders and borrowers; design professionals; commercial construction contractors and subcontractors; and franchisors and franchisees. He has presented seminars and published articles on commercial real estate and business matters, and has been interviewed and cited as authority on commercial real estate matters. Mr. Schoen is recognized in Arizona's Finest Lawyers, the Bar Register of Preeminent Lawyers and The Heritage Registry of Who's Who. He was invited to join the faculty of the Phoenix School of Law as an Adjunct Professor. 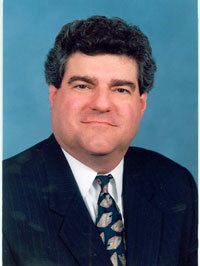 Before founding Law Offices of Jeffrey A. Schoen, P.C. in 1994, Mr. Schoen had been a partner in a 10-attorney Phoenix law firm, an in-house counsel at the Arizona division of a major international bank, and an associate attorney in a 41-attorney Phoenix law firm. He brings that larger law firm expertise, experience, training and professionalism to the smaller law firm environment and clientele, along with smaller law firm personal service, cost-effectiveness and responsiveness. Mr. Schoen received his B.S. degree in Aeronautical Technology from Arizona State University in 1975, and his J.D. degree from the ASU College of Law in 1986. He is a member of the American Bar Association (Sections on: Franchising; Business Law; and Real Property, Trust and Estate Law), the State Bar of Arizona (Sections on: Real Property; and Construction Law) and the Maricopa County Bar Association. Mr. Schoen also formerly was a member of the American Association of Franchisees & Dealers: as Member of the Steering Committee of the LegaLine Council; as Secretary of the LegaLine Council; and as Chairman of the LegaLine Council Accreditation Subcommittee. He has served as a Judge of the Negotiation Competition and the Client Counseling Competition (both Competitions sponsored by the American Bar Association Law Student Division) held at the Arizona State University College of Law. Before attending law school, Mr. Schoen was a pilot instructor in the United States Air Force, graduating Number 1 in his Pilot Instructor Training class, attaining the rank of Captain and earning the Air Training Command Certificate of Master Instructor Pilot. He also earned several licenses and certificates issued by the Federal Aviation Administration, including: Airline Transport Pilot - Multi-Engine Land; Certified Flight Instructor - Airplanes and Instruments; and Glider.